Documents and tools for legal professionals. Create innovative legal solutions for your clients. Here are some of the ways you can use our range of documents and tools. Use these documents when you’d like to complete the interview yourself and have the completed document sent to your email address. Or share a link to one of these documents with your client if you’d like them to complete the interview themselves and be able to download and use the document straight away. The document will also be sent to the email address that the client uses when starting the interview. The direct documents for your law practice can be accessed from our Use In Your Practice Now page or from the Support Legal Store through your Automio subscription. If accessing documents from our Use In Your Practice Now page, enter your payment details at the start of the interview and you can save them for later. If you share a link to the document, your client will need to enter their payment details. If accessing documents through your Automio subscription, you can control how the payments are organised. These documents are only available with an Automio subscription and can be accessed from the Support Legal Store or on the Automio marketplace. They can be resold with your practice’s branding, description and pricing. You can also send direct links to the interviews to your clients to complete as a private direct link, without them needing to provide payment. Use these documents when you’d like a client to complete the interview themselves and use the document straight away. The document will also be sent to the email address that the client uses when starting the interview. Just set the price to $0 and the fees will be charged to your practice. You can then either absorb the fees or pass them on to your client as a disbursement. You can also use these documents in your online store, again with your branding. Just set the price to the amount you’d like a customer to pay when starting the interview. The fees will be deducted from the amount paid and you’ll receive the remainder as an additional income for your practice. If you’d like to set up an online store exclusively for your clients, you may like to set the price to $0. The fees will be charged to your practice and you can choose to either absorb the fees or pass them on as disbursements. The Resale Documents with Review Included are available with an Automio subscription and can be accessed from the Support Legal Store. They can be resold with your practice’s branding, description and pricing. These documents can be used when you’d like your client to complete the interview and the document to be emailed to you directly for review. We suggest adjusting the product description through the Automio dashboard to add specific information about the agreement for your legal advice services in reviewing the document. Share a link with your client and the document will be emailed to your practice as soon as they complete the interview. Review the document when you’re ready, make any changes in Word and add your legal advice. Just set the price to $0 and the fees will be charges to your practice. You can then either absorb the fees or pass them on to your client as a disbursement. You can also use these documents in an online store available exclusively to your clients, again with your branding. With Review Included documents should only be provided to clients who have engaged your legal practice for ongoing legal advice. The price should be set to $0 so the fees are charged to your legal practice, and then either absorbed by your legal practice or charged to the client once the review and legal advice are provided. These tools are only available with an Automio subscription and can be accessed from the Support Legal Store. Use our Client Recommendation Report tools for different areas of law to confidently determine which legal documents your client needs. These complimentary tools generate a customised recommendation report that can be presented directly to your client. The recommendation report also specifies the areas where your client would need to speak to you further to obtain advice and minor amendments to the documents. These tools are available with an Automio subscription and can be accessed from the Support Legal Store. The valuable May We Assist? tools significantly reduce the administrative time spent on managing initial questions to your legal practice and reduce the need to handle quick calls during busy days. Allow potential clients to contact you at any time from any device and leave their details for you to contact them. Your practice will receive an email with the name and contact details of the potential client, together with a description and time frame for the proposed matter. Simply use this information to forward the email to the most appropriate person in your practice to review the potential client and matter and make contact when they are ready. If a person’s question is not within your specified area of law, they are referred to the law society in their state or territory to find another lawyer. For the In-house Legal tool, a person will be required to leave their details and won’t be referred to a law society. See our YouTube channel for examples of each available tool. Your IT support person can easily set up the May We Assist? Tool on your legal practice’s website near the description for the areas of law that you practice, using your own branding image and colour. Simply add the tool for your area of law to your Automio dashboard. Change the name to only ‘May We Assist?’ and make sure your practice’s interview and output themes are set up. Set the price as $0 for the fee to be charged back to the practice. Copy the embed link from the publishing tab to add it to your practice’s website. You could also the May We Assist? Tool in your email or social media marketing. 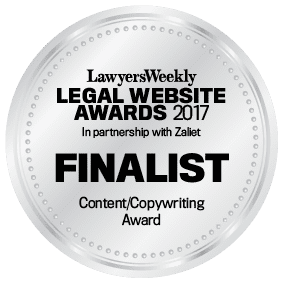 Just include a link to your website page with the description of the area of law you practice and invite the reader to leave their details if they wish. You might be interested in our playlist for Legal Professionals on our YouTube channel to see more ways to use our documents and tools. Use the toolbar at the side or end of this page to share these ways to use documents and tools with someone. Thank you.